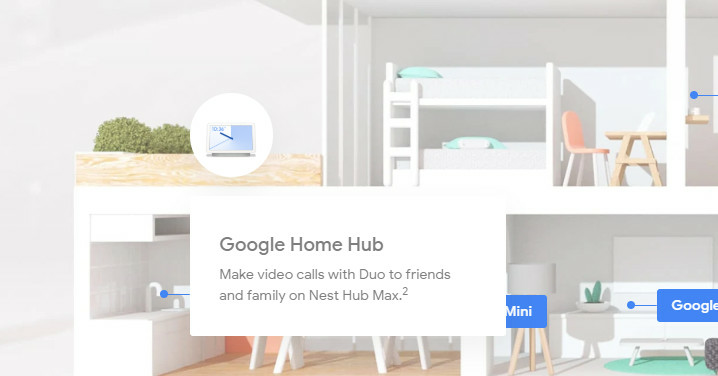 Google made a great goof today, as it looks like a relatively small update to the affiliate's home section in its online Google Store, accidentally leaking the existence of a new Nest product. In the picture taken before it was taken by Android Police you can see Google taking advantage of the new Nest Hub Max as it is called. According to additional marketing images, the device appears to have a 10-inch HD screen, a built-in Nest camera, and stereo speakers. We don't have too much else to go on about this product and no information on whether it is a product in development (apparently likely) or when it may be close to being revealed (we have no idea). Perhaps it is not true and it will never materialize, but it seems a little too specific because it is a kind of typo. Google was not immediately available for comment. Still, it would make a lot of sense for Nest to enter the smart display. Google already has its own Smart Home Hub, and scores of third-party electronics brands have incorporated Google Assistant into tablet format screens that use voice control. But Nest, which now offers a whole range of smart home camera products for doorbell systems for security systems, could offer a better experience if it had a central hub to control all its devices. At present, the company has to settle on putting Google Assistant in already released products that were not originally designed for it, such as Nest Cam IQ. A true smart screen with a built-in camera and speakers can be the Google Home-style Nest hub. The company, which is once again part of Google's right, needs to move more smoothly into a brand that offers a holistic offering instead of a series of interoperable devices.